This book takes a fresh look at the most disliked tree in Britain and Ireland, explaining the reasons it was introduced and why it became ubiquitous in the archipelagos of north-west Europe. Sitka spruce has contributed to the Pacific Coast landscapes of North America for over ten millennia. For the Tlingit First Nationit is the most important tree in terms of spiritual relationships, art, and products in daily use such as canoes, containers, fish-traps and sweet cakes. Since the late nineteenth century it has also been the most important tree to the timber industry of west coast North America. 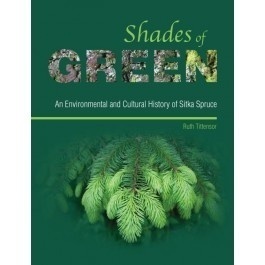 The historical background to the modern use of Sitka spruce is explored. The lack of cultural reference may explain negative public response when tree-less uplands in the UK and reland were afforested with introduced conifer species, particularly Sitka spruce, following two World Wars. The multi-purpose forestry of today recognises that Sitka spruce is the most important tree to the timber industry and to a public which uses its many products but fails to recognise the link between growing trees and bought goods. The apparently featureless and wildlife-less Sitka spruce plantations in UK uplands are gradually developing recognisable ecological features. Sitka spruce has the potential to form temperate rainforests this century as well as to produce much-needed goods for society. The major contribution of Sitka spruce to landscapes and livelihoods in western North America is, by contrast, widely accepted. But conserving natural, old-growth forests, sustaining the needs of First Nations, and producing materials for the modern timber industry will be an intricate task.